I believe the toothy one here might be Kafi, a 3 year old new arrival to the zoo. 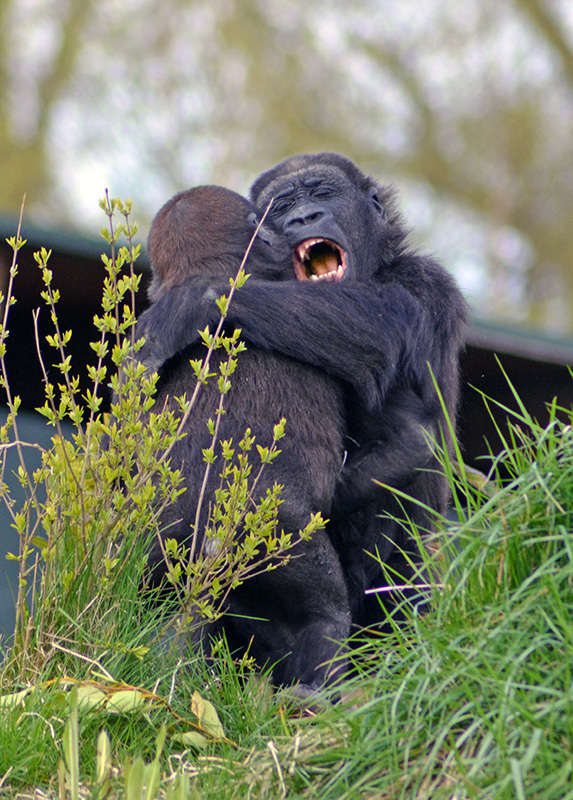 I got a bunch of pictures of these two chasing each other around and jumping on one another in what looked like semi-friendly play, and then discovered there was a new gorilla at the zoo, so I think this is as much establishing heirarchy as play. I was wondering why she had been removed from her mom and group so young, but I see that she's an orphan. So good on Dublin for being able to integrate her.